The first thing you should do, if you haven't already, is set up Facebook and Instagram accounts for your business. Invite your friends and family to like your page, and start extending your network. Facebook also provides incredible resources to help your marketing efforts, and create a pipeline of new clients. Almost everyone uses Facebook, so use it to your advantage. Add pictures of your employees and introduce your staff to the world! Using social media to engage your audience will help you understand what your customers are looking for. All you need to do is listen, create, and repeat. Sooner or later you will find yourself creating lasting connections with your clients. Consider hosting a Facebook AMA (Ask Me Anything) with one of your tax experts to answer questions and encourage people to come in to your office for more help! Once you have a better understanding of what some of your clients need, then you can slowly start to expand your reach. Since people seem to be interested in refund advances and child tax credits, and you're already having these conversations in person, now its time to let the rest of your community know. All it takes is creating a message, similar to the ones you're having conversations about, and sharing it with people in your community. I have my message. Now what? Did you know that you can advertise to anyone that is 5, 10, or 15 miles away from your exact office location? Just like the ones asking you questions about refund advances, these are people that need your services as well. The goal is to share that message strategically, and that means advertising to people in your area, since they are most likely going to walk in file their taxes. Because this is going to make you the expert in your community, and subsequently being recognized as the "Tax Guy". 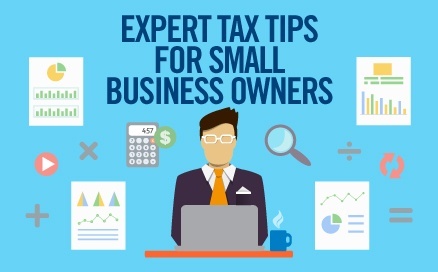 The more information and the more value you provide, the more you'll be recognized as the go to tax guy in your community, and as you start to get closer to tax season, you've already built trust and expertise in your community to help with their tax needs.